A facebook fan page of Manmohan Singh shares a photoshopped image of Modi wearing a Bohra cap. 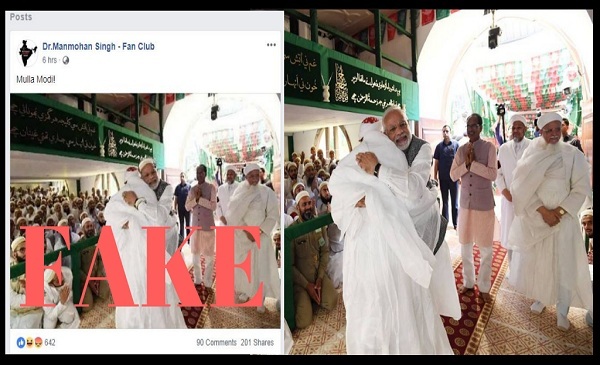 An unofficial Facebook fan page dedicated to former Prime Minister Manmohan Singh shared a photoshopped picture of Prime Minister Narendra Modi wearing a Bohra cap, on Saturday. The prime minister’s verified Twitter handle and verified Facebook page posted photos from the event. Magnifying the image it is clear the picture has been edited as can be seen from scattered pixels around the prime minister’s face. The same image posted by the Modi’s verified Facebook page where the PM can be seen without any headgear does not show any distortion. The scrutiny Modi is subjected to while meeting leaders from the minority community especially Muslims has an interesting history. During his Sadbhavana fast in Ahmedabad in September 2011, Modi had refused to put on a ‘skull cap’ offered by a Muslim cleric. 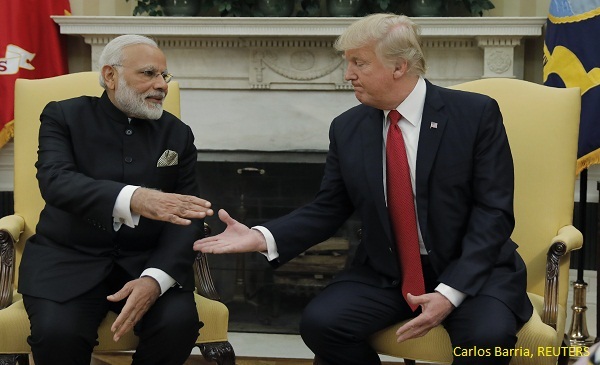 Politely refusing to wear it, Modi asked the cleric to offer him a shawl instead. The Imam did so and Modi accepted it.